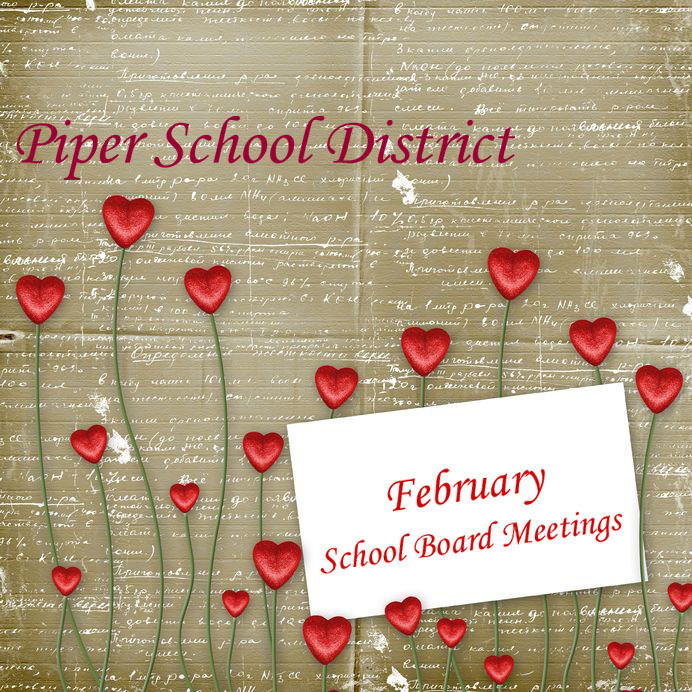 The Piper School District’s Board of Education was scheduled to meet Monday, Jan. 13, at 6:30 p.m. In addition to routine items on the agenda, such as paying contractors and approving high school course changes, the board has a full schedule. One of the most significant items on tonight’s agenda is review of the annual financial audit for the last fiscal year. The audit report from Kramer and Associates CPAs shows one significant deficiency and two material weaknesses. Other business scheduled for this evening included hearing a report from Superintendent Steve Adams and discussion of a proposed three-year technology plan. A significant deficiency noted in the audit was lack of segregation of financial duties. “No one employee should have access to both physical assets and the related accounting records or to all phases of a transaction. Specifically, there are three critical duties that should be separated for internal control purposes: signing checks, maintaining fund accounting records, and reconciling the bank statements,” according to the report from Kramer and Associates. They added that such a deficiency might result in misappropriated funds going undetected. One material weakness noted in the audit is poor preparation of financial reports. Another material weakness is poor review of bank reconciliations. “During much of the year, the operating bank account reconciliations appeared to be generally incomplete,” the auditors said. The superintendent’s report included an overview of Gov. Sam Brownback’s proposed school finance plan and an overview of the State Board of Education’s plan to request a waiver of the requirements of the No Child Left Behind Act. And the three-year technology plan presented to board members proposed spending almost $885,000 to upgrade district computer equipment. Improvements would include adding computer labs at the high school and middle school and purchasing iPads and building an app library for teacher use. The Board of Education meeting, which was open to the public, was scheduled to take place at the Piper Elementary Library; 3131 N. 122nd St.; Kansas City, KS 66109.